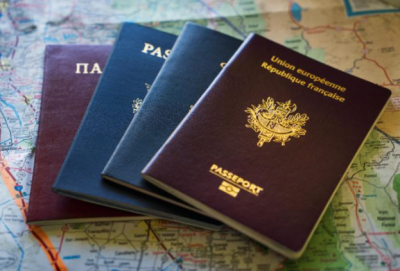 The European Union’s counter terrorism agency has identified fake passports destined for alleged members of the Islamic State group in Greek refugee camps, an Italian newspaper has claimed. According to the daily, La Stampa, officials from Europol conducted an investigation into the trafficking of fake documents for Islamic State in Iraq and the Levant (Isil) in four countries – Iraq, Syria, Greece and Austria – in a bid to follow a trail of false identity papers and how they were being used to breach borders. Europol officials could not be contacted for comment in The Hague on Sunday. The paper said there were concerns about how potential terrorists from Syria and Iraq may have avoided government controls in Greece by hiding among refugees and using false Syrian passports to make their way to Austria and other parts of Europe. “In particular they have identified fake passports in the refugee camps in Greece that were destined to supposed members of ISIS (Isil),” La Stampa said.